Lisa is an experienced programme leader with exposure on GB International Teams, most recently Rio Olympic Games 2016 and World University Games 2017. 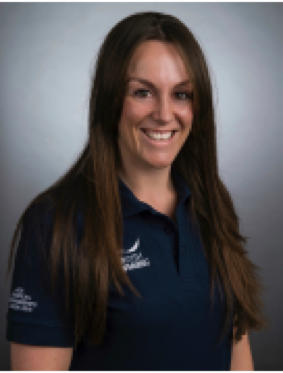 She has coached a variety of International medalists and has a proven track record with the development of Age Group swimmers to senior level (Siobhan Marie O'Connor, Aimee Willmott, Sophie Taylor). 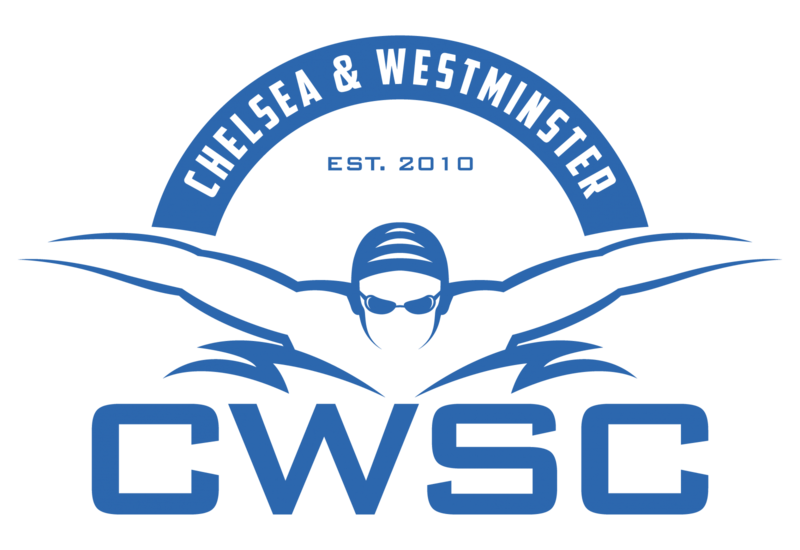 Lisa held a variety of high profile coaching jobs before joining CWSC, including Performance Programme Head Coach at the London Aquatic Centre (2014 to 2017), Director of Swimming at Middlesbrough ASC (2011 to 2014) and University of Bath Head Age Group/Youth Coach (2006 to 2011). Throughout this time Lisa has been part of the Team GB coaching team, working with International teams at a variety of training camps and competitions including Commonwealth and Olympic Games. She will be part of the GB coaching team at the European Championships in Glasgow this year. Lisa is very experienced across the whole Performance spectrum, in particular in integrating teams and streamlining processes and coaching methodology to deliver success. Alexander has been involved with multi aspects of swimming and aquatics for the past 15 years, including competition management and organization, club management, officiating and coaching. He was previously a competitive swimmer himself in Canada and before this a competitive horseback rider. Alexander has coached both within Canada and the UK and has seen swimmers achieve success from Age Group Level through to Elite. 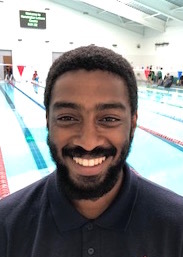 Previous to his work with Chelsea and Westminster, Alexander was the Assistant Head Coach of the London Aquatics Programme and has also worked with multiple clubs within the London region. He holds the Canadian equivalent to the UK Senior coach (Level 3) and has also completed his Assistant and Coach level qualifications in the UK over the past 5 years since his move over. He is an accredited Swim England Tutor and actively delivers the Coach Qualification for Swim England and the Institute of Swimming across the South West and South East of the UK. Alexander has a keen passion for travel and also volunteering especially at major events, including 2009 & 2013 Canada Games, 2016 LEN European Aquatics Championships and 2018 European Championships in Glasgow. Keith Kennedy has relocated to London recently from Cincinnati, Ohio. 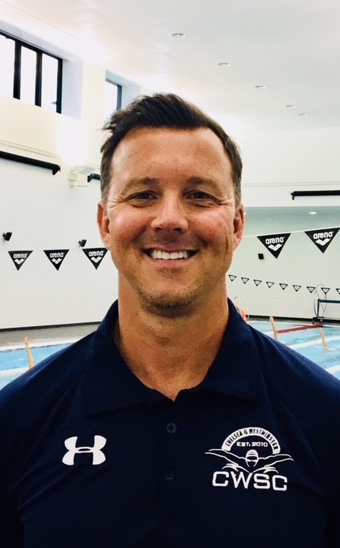 He has been a swimming coach for over 25 years and has coached all levels of swimmers, from 8 and under all the way to the highest level of competition. Swimmers coached by Keith achieved numerous distinctions - USA Olympic Trials Finalists, NCAA Finalist, Multiple University Record Holders, Pan Am Gold Medalist, Paralympic Gold and Bronze Medalists, USA Swimming National and Junior Team Members. Keith was a University of Cincinnati varsity swimmer and has coached swimmers to top University swimming teams, such as Stanford, Michigan, Arizona, Ohio State and Notre Dame. Keith also served as a United States Olympic Committee national team select coach and spokesman, was a US Coach for the World Championships in Durban, South Africa, and coached numerous youths to USA Swimming national teams. Keith is a great communicator with a strong focus on individual swimming and coach development. Keith’s mission is to set the stage for athletes to succeed, allowing the swimmers to use his knowledge to exceed their individual goals. Marina has been involved in swimming from a very early age, competing at the Italian National Championships, International Meets and Pre-Olympic trials and, as a master swimmer, at the National and European Championships. She began her coaching career in Rome before taking a long break to bring up her three children. After a brief coaching spell in Japan, on her return to the UK, she joined Wandsworth Swimming Club, first as Assistant Head Coach and then Head Coach. In that role, over many years, she achieved consistent results at County and Regional Level, and taking scores of swimmers to the Nationals, with two podiums (gold and silver) at the Age Group and finalists at the Youth Championships. In 2009 she was selected to join the British National Team as Assistant Team Manager and Interpreter at the Cyprus Camp, at the Holding Camp in Sardinia and the World Championships in Rome. In the same year, she joined the ASA Beacon Programme at Crystal Palace as Assistant Head Coach until June 2012, becoming Head Coach until the end of the Programme in 2013. In September 2013 she joined CWSC where she is working as Assistant Performance coach. She holds the ASA Club Coach Level 3 and UKCC Level 3 Certificates. After swimming Nationally in South Africa, Drew attained his coaching levels 1,2 and 3 in America (ASCA) making him CWSC’s 5th Level 3 coach! 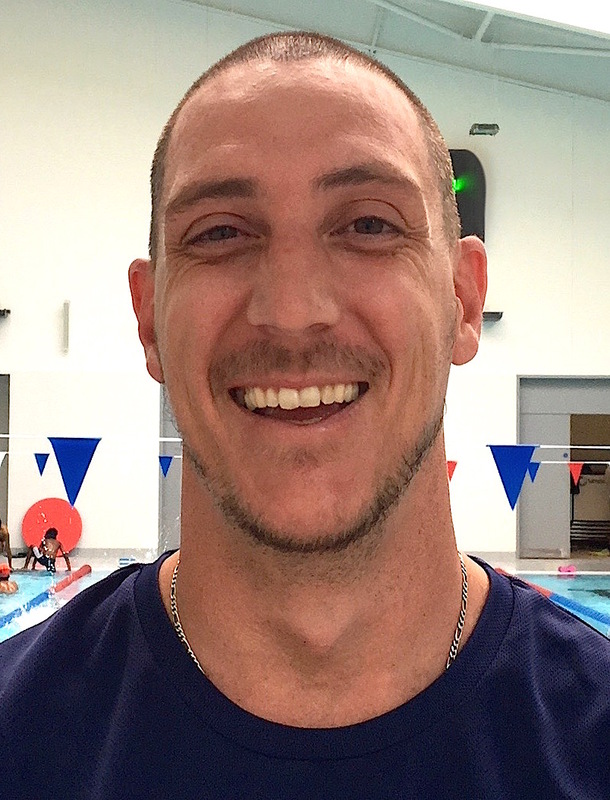 Carrying a degree in Psychology and a Masters in Sport Psychology, Drew has applied his swimming and education skills across South Africa, most recently working at the Bond University Swim team. In 2011, Drew set up his own Swim School in South Africa called ACTIVE AQUATICS – a programme solely focussed on skill development for swimmers aged 3 to adults and including open water and triathlete training. In 2014 Drew took a position at Grayston Prep school as their head of swimming, bringing his Active Aquatics programme to the school. Since registering ACTIVE AQUATICS, Drew had 14 swimmers (aged 7 to 16) compete in Central Gauteng Aquatics (CGA) Regional competitions and Age Group Nationals with the team achieving Swimming South Africa (SSA) Level 1, Level 2, and level 3 qualifying times and one swimmer qualifying and swimming at SSA open water nationals earlier in Olympic year (2016). Derew’s swimmers have broken CGA championship records and qualifyed for both Junior and Youth Nationals. One of Drew’s para-swimmers qualified for senior nationals, where she won 1 Gold, 2 Silvers and a bronze medal. Drew joins us with a wealth of knowledge surrounding the development of Age Group swimmers into National standard swimmers to form an essential part of our competitive programme. Mo joined us recently from Ealing Swimming Club, where he swam competitively and coached children of various ages and abilities since 2014. Mo started swimming relatively late but fell in love with the sport, improving quickly and swimming competitively since. Before swimming, Mo played football at a semi-professional level winning numerous team and individual accolades. Mo is currently studying Chemical Engineering at UCL. Being an athlete himself and having participated in numerous team and individual sports, he understands what is required , both mentally and physically, for swimmers to achieve their potential. As a young coach, he hopes to communicate this passion and drive to young swimmers. Katia swam competitively with the club from the age of 7 until 15, when she stopped swimming to focus on her GCSE studies. She eventually went on to take 4 A-Levels and graduated from the University of Westminster with a degree in Tourism and Events Management. Whilst studying, Katia started working as a volunteer for CWSC and by the age of 19 she had achieved her ASA level 2 coaching qualification. One of her biggest regrets was leaving the club as a swimmer so her return as a coach has allowed her to reconnect with her love of swimming and share this passion and enthusiasm with the younger members in the club. Geoff has been at CWSC since it was formed in 2010. His aim is to provide safe and effective instruction, combining encouragement and motivation that the squad and individuals will enjoy. I strive to get the very best out of every swimmer by building a partnership between coach and swimmer, as well as providing a training programme that is challenging, varied and progressive. As a coach, Geoff is constantly looking for new approaches which will achieve at least one of the following: 1. Change from the normal routine. 2. Challenge to work hard. 3. Improve the performance of the athlete. He also strongly believes that every swimmer, whatever their commitment to training, should have access to high quality coaching which gets the very best from their commitment. 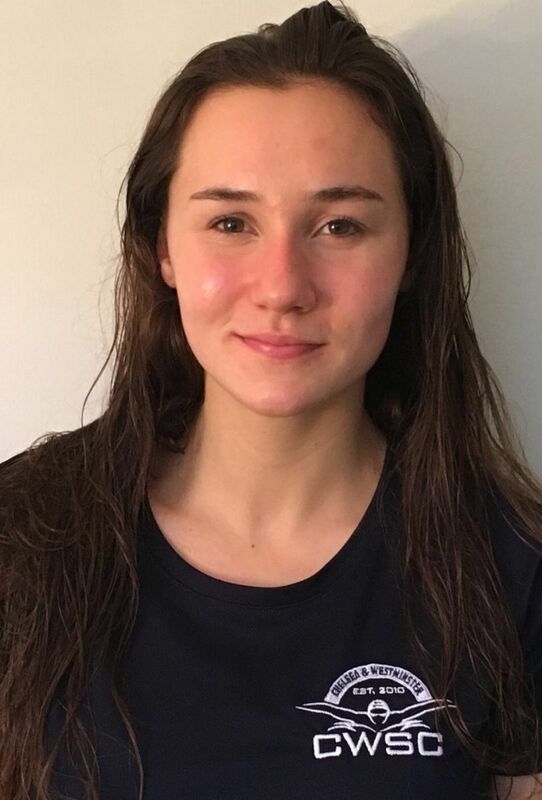 Rosie swam for the Westminster Borough Squad since she was 9 years old, where she trained hard and enjoyed success at County and Regional levels - she was the first female County Champion in the 1500m freestyle. She worked for the club for the last 10 years choaching swimmers at every level. Rosie enjoys developing new skills in younger swimmers and providing high-quality and challenging sessions to promote progress for every individual, irrespective of ability and stage. She wants to inspire the next generation of swimmers and encourage them to enjoy the sport, exercise and competing. Rosie is also a full time primary school teacher. 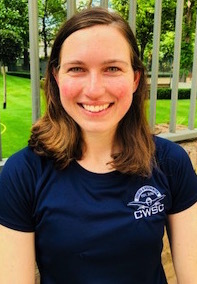 Anna has joined CWSC in 2011. She has has been involved in the sport since early age. She swam competitively for her home country, Poland, from 7 to 15 years old, taking part in national and international events. She has been a member of masters swimming club “Otter” since 2007. Anna holds a Master degree in Physical Education and ASA/UKCC Level 3 for Coaching Swimming. Anna has 20 years experience teaching physical education and coaching swimming in both, Poland and the UK. She believes that being part of a swimming team, not only develops social skills, understanding of fair playbut also gives a sense of achievement. She thinks that swimming prepares children for life, teaching them self-discipline, dedication and commitment. Anna currently works full time in primary school in central London. Her interests include travel and photography. Her last year trip to Everest Base Camp, proved challenging, however very rewarding. Julia swam at a high level, competing at international meets. She is a very skilled Level 3 swimming teacher with 36 years experience who started at the original Westminster Borough Swimming Club in 1988. Julia has sports psychology and sports coaching degrees and as well as swimming she coaches diving, basketball and trampolining. Julia also has a day job as a medic. Originally from Florida, Lara was a competitive swimmer for 14 years training under Olympic coaches Jay Fitzgerald and Michael Lohberg. Lara received her USA National cut in the 100m freestyle and the sport of swimming allowed her to travel internationally. In 2009, Lara received a swimming scholarship to attend Fordham University in New York, where she competed as part of the 2010 Women's Swimming Atlantic 10 Championship Team. Lara reignited her love for the sport during her training for the 2017 Breca Buttermere Sprint SwimRun. She attained her Level 1 & 2 ASA swim qualifications in hopes of encouraging long term participation in the sport of swimming. Holly has been swimming for 10 years, developing from a local club, to training with Lisa at the London Aquatics Performance Program to a specialist swimming boarding school in Devon. She swam at national level since she was 11 and competed at British Championships over the years. Although she stopped swimming competitively, she is really enjoying helping the next generation of swimmers become the best swimmers they can be. Lianne has been involved in club swimming in central London for many years with both the old Westminster Borough Squad and the Chelsea and Kensington SC. She was a National level Synchronized swimmer in her youth and currently plays a vital role in the club, providing all the ground rules of technique to the young developing competitive swimmers. Lianne also teaches swimming with various schools around London and is the mother of two former members of the club. Ryan started coaching at the club in 2011. He left in 2014 to work with adults and children with developmental disabilities in St Louis, Missouri, US. Ryan loves travelling and, after participating in the Camp America programme for 5 years, he travelled the world, coaching swimming as far as Melbourne, Australia, where he coached in camps for the YMCA and various schools. Ryan's coaching philosophy is to show the kids how to have fun while working hard and learning. He knew coaching from a very early age, as his mother and aunts were swimmers and then ran Fulham Swimming Club, where Ryan swam until he was 14. Ryan has been coaching at Eaton Square School for a number of years, assisting with their success at IAPS and English Schools competitions. Reece has been involved in sports his entire life, teaching different age groups since he was 16. In 2014, he graduated from U niversity with a BSc Sport Science with Coaching degree. He v olunteered for a number of years at a professional football club, but in recent years – he started teaching and coaching swimming and, as his passion for the sport grew, it became his main focus. Susan is s tudying level 5 in childcare and management. She works with special needs children teaching them swimming skills and taking them to galas. Susan was an age group swimmer for CWSC. She strives to make swimming fun and to develop swimmers to achieve their goals . Her favorite stroke is butterfly and she enjoys teaching the swimmers how to do it. She has studied American Swimming teaching techniques and has brought them to the deck at CWSC in her coaching. She is passionate about the water and the sport and loves working with special needs swimmers, both children and adults. 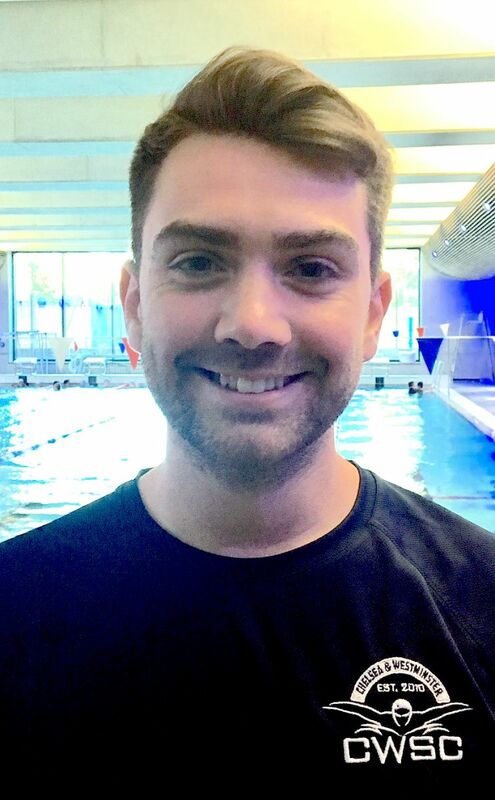 Nathan swam competitively at Stockport Metro and is now using the skills he aquired as a swimmer to help develop the next generation of swimmers in Chelsea and Westminster. He is passionate about swimming and loves being on deck with his quads. Nathan's coaching philosophy is to help swimmers learn how to swim professionally and encourage them to achieve their highest potential in all levels of performance.